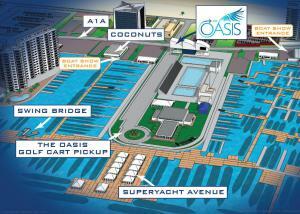 FORT LAUDERDALE, FLORIDA, USA, October 29, 2018 /EINPresswire.com/ -- Bluewater Yachting is proud to introduce The Oasis Lounge, an exclusive hospitality lounge for boat captains and crew members during the 2018 Fort Lauderdale International Boat Show. The boat show will take place from October 31st, 2018 until November 4th, 2018, so make sure to stop by the lounge, open from 10AM – 6PM for the five days. Pre-registration is required, and The Oasis Lounge will be offering breakfast, lunch, dinner, as well as snacks throughout the day.